I've been slowly but surely filling my saltwater fly box. What started with a few Clouser Minnows has grown over the past month or two to include shrimp, crabs, and many other delicacies. Upon learning that we were moving to Florida, my father-in-law got me a gift subscription to Florida Sportsman magazine. The print magazine is always fun to look at each month, even though a lot of the baitfishing stuff is still somewhat foreign to me and there isn't a ton on fly fishing. I feel a lot more knowledgeable by each passing issue - learning where to fish, how they behave, and all that good stuff. So what are your top flies? And I don't necessarily mean for Florida salt. Just got back from Florida(from Plymouth, England.) The fly that worked for me was the "eat me". Tied with DNA with thin dark green holographic tinsel topping. Not the original materials, but I used what I had to hand and boy did it work. It is zero degrees here in the UK... do I miss that sunshine !! Russ. 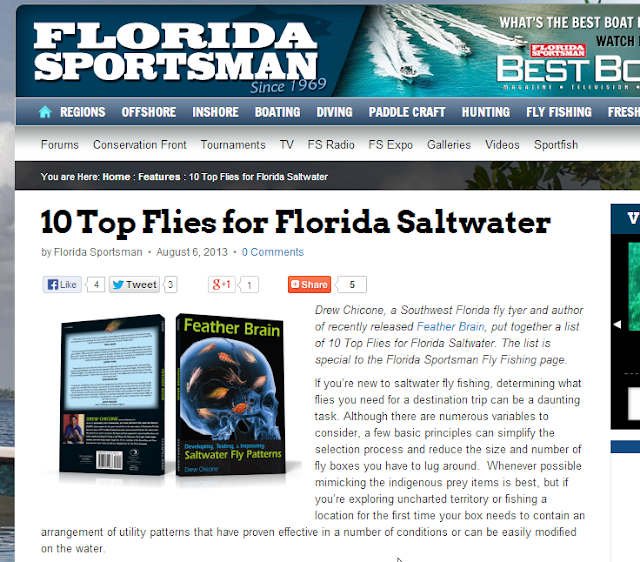 For saltwater, all my flies are pretty standard. For shallow water/mangroves, a Lefty's Deceiver. 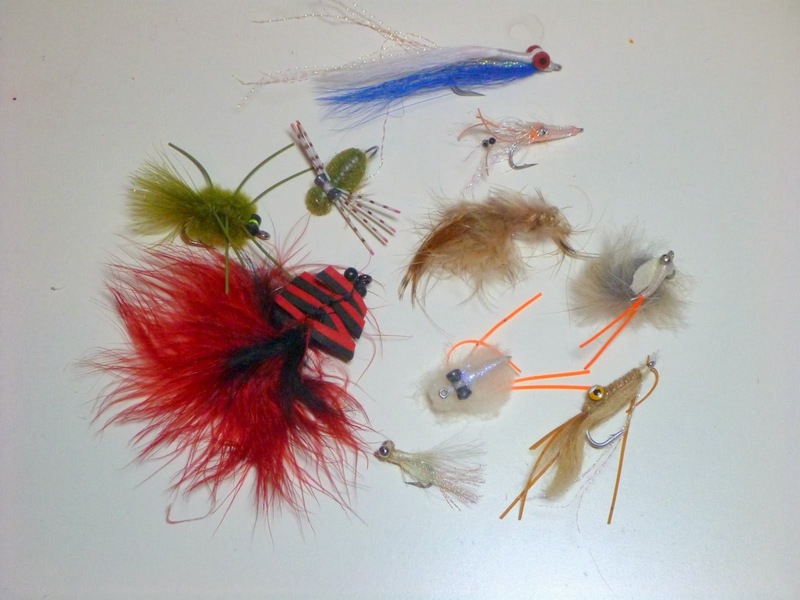 For deeper water, variations of Clouser Minnows. For bonefish, variations of Crazy Charlies. And for Permit, variations of Del's Merkin. Sometimes I fish a Gartside Gurgler if there's good topwater action. I have a lot of other patterns but these are the ones I have the most confidence in so they're the ones I find myself using when I'm actually out on the water. Morning Mike. I think you already know, but the chartreuse/white Clouser was the fly I took my second trout on with a fly rod. I don't know how well a Thin Mint would work in salt, but it's killer for trout. When we fished in Florida, it was always shrimp with a smattering of Mullet. Live or dead, didn't matter.